Vladimir Putin during the meeting with Defense Minister Sergei Shoigu, Dec. 8. Russian President Vladimir Putin has had a phone conversation with British Prime Minister David Cameron, the Kremlin press service has reported on Dec. 9. "David Cameron has extended his condolences about the downing of the Russian warplane in Syria. Vladimir Putin invited British specialists to take part in the deciphering of the data from the flight recorders taken from the downed Sukhoi Su-24," the report says. According to the press service, "the leaders exchanged opinions on vital issues relating to security in the Middle East, primarily in the context of the efforts to resolve the situation in Syria." "It was stated that Russia and the UK have similar approaches to the threat coming from ISIS and other terrorist groups in the region. Issues relating to the establishment of bilateral cooperation between various state structures were discussed in this context," the Kremlin said. The conversation was on Cameron's initiative. 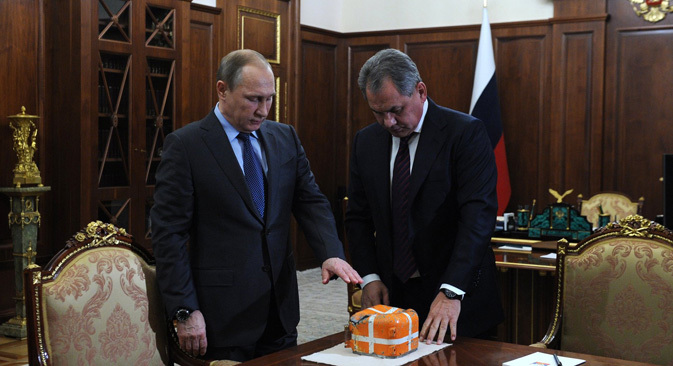 Earlier Vladimir Putin instructed Defense Minister Sergei Shoigu to unseal the flight data recorder from the Russian warplane downed by the Turkish Air Force only in the presence of international experts. "As for the flight data recorder, we'll look at it now. Has it been unsealed?" Putin said at a meeting with Shoigu on Dec. 8. "I'll ask you not to unseal it for the time being, and unseal it only together with foreign specialists. Everything needs to be thoroughly documented," Putin said. The list of foreign experts who will be invited to work with Russian specialists will be determined by the Russian Defense Ministry. Read more: How is Russia protecting its military in Syria, post-Su-24?